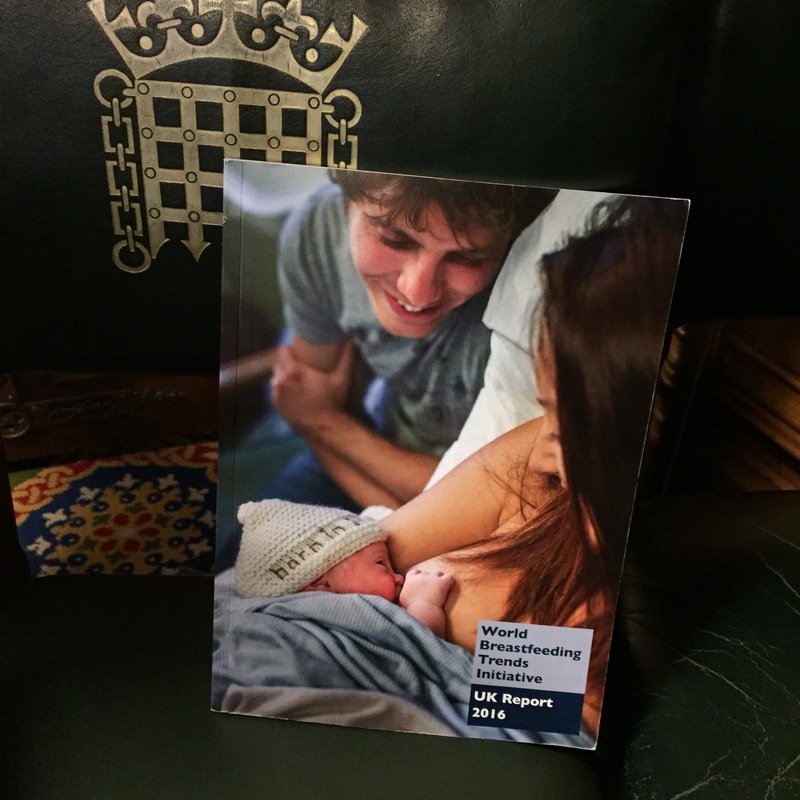 The launch at the House of Commons on 15 November of the first UK-wide World Breastfeeding Trends Initiative (WBTi) report on infant feeding policies and programmes gave some clues to which “stepping stones” along a family’s feeding journey are missing, where families are struggling to meet their own breastfeeding goals. While most mothers in the UK (around 80%) do set out to breastfeed, breastfeeding rates plummet within weeks until fewer than 1% of babies in the UK are exclusively breastfed at 6 months. MPs from across the political spectrum attended the parliamentary launch, hosted by Alison Thewliss MP, along with guests from Unicef UK Baby Friendly Initiative (who provided a screening of their new short video on their Call to Action) health professional bodies, voluntary organisations, breastfeeding experts and academic researchers. Nearly 20 organisations were involved in developing the report’s recommendations for action. These recommendations cover the family’s whole feeding journey, and range from the fundamental importance of full Unicef UK Baby Friendly accreditation of maternity settings, to health professional training and access to skilled breastfeeding support in the community, all the way to maternity protection and the provision of breastfeeding breaks in the workplace. Dr Amy Brown gave a keynote address demonstrating how the structure of joined up policies and programmes forms essential underpinning to the cultural change that is badly needed in the UK. Lack of political and national leadership, uneven health professional training, formula milk marketing, poor data collection and patchy community support for mothers were identified as gaps in UK policies and programmes. The degree of variability in the minimum standards of training in infant and young child feeding training among different health professions – even those working most closely with mothers and infants – was surprising. Eyebrows were also raised at finding that, while there is guidance on the care of zoo and circus animals in case of emergency or disaster, there is no national guidance for the care of mothers and babies in an emergency situation. Formula-fed babies would be at particular risk if access to clean water and electricity were interrupted, and it is vital that national guidance be communicated to all local authorities and emergency responders. Scotland and Northern Ireland were found to have strong strategies and national leadership in place, but England and Wales fell short. The Unicef UK Baby Friendly Initiative, however, was singled out as a “world leader” in its commitment to children’s rights and for the excellence of its training programmes, both in hospital settings and in the NICU and community. The report provides the first broad-based assessment of the UK’s implementation of ten key policies and programmes to support women and babies during their feeding journey. The policies are drawn from the World Health Organisation’s (WHO) Global Strategy for Infant and Young Child Feeding, which the UK has endorsed since 2003. 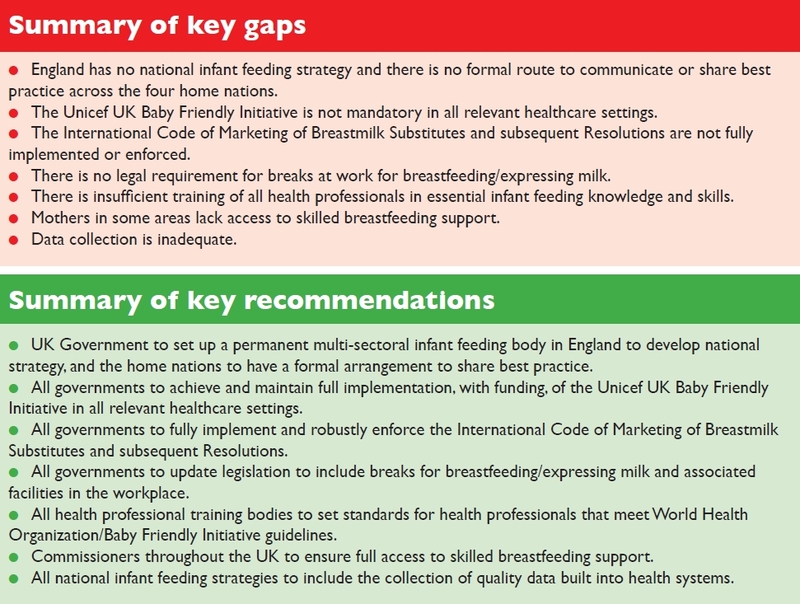 Some of the recommendations from the WBTi Core Group were actions that MPs could lead on, including the full implementation in UK law the International Code of Marketing of Breastmilk Substitutes as well as its full enforcement, and the protection of breaks for breastfeeding or expressing milk for mothers returning to work. Recent studies from Save the Children and WHO have also shown that political will is pivotal in driving forward improvement in key strategies across the board to support infant feeding. One of the key drivers for the WBTi project in the UK is women’s choices. Although the majority of mothers in the UK want to breastfeed, many of them are struggling. The majority of these mothers wanted to breastfeed for longer but did not get the support they needed to meet their goals. Mothers who stop breastfeeding early due to unresolved problems have double the risk of postnatal depression. The impact of infant feeding on child and maternal health is well documented, but the impact on the national economy is less well understood. In addition to costing the NHS more than £40 million for five common diseases alone, the long-term impact of the UK’s low breastfeeding rates on cognitive ability, human capital and productivity across the whole population is estimated to cost the economy at least 0.53% of gross national income. Breastfeeding rates in the UK are lowest in its most-deprived communities, exacerbating health inequalities. Breastfeeding could prove to be a powerful means of combating inequality. 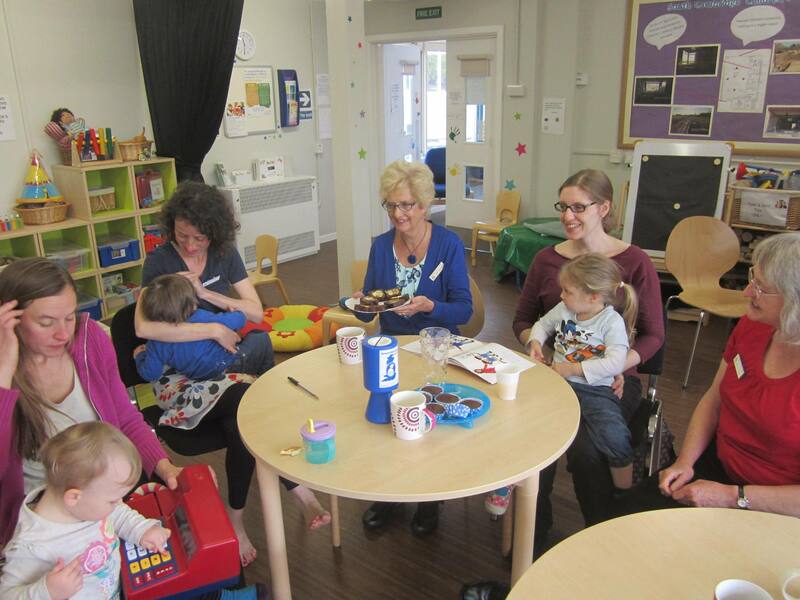 This first WBTi UK report provides a road map for policy makers and commissioners to target gaps in order to provide families with the support they need all the way through their feeding journey. Previous UN recommendations specific to the UK also included the recommendation to systematically collect data on infant and children’s food and diet (WBTi Indicator 10). UN Special Rapporteurs on the Right to Food, Right to Health, the Working Group on Discrimination against Women in law and in practice, and the Committee on the Rights of the Child issued the statement through the Office of the United Nations High Commissioner for Human Rights today. Do you want to help bring about real changes to breastfeeding in the UK? If so, read on, because every baby born in this country needs your help. If you’ve been a regular on the UK Breastfeeding blog then you’ll know all about the WBTi, and how it is identifying every aspect of breastfeeding policy and practice that is falling short and generating recommendations for how they can be improved. But how can we make sure that those recommendations get put into practice? That’s where you come in – by influencing your MP and making sure they understand that this issue is important to you and to thousands of other families in their constituency. 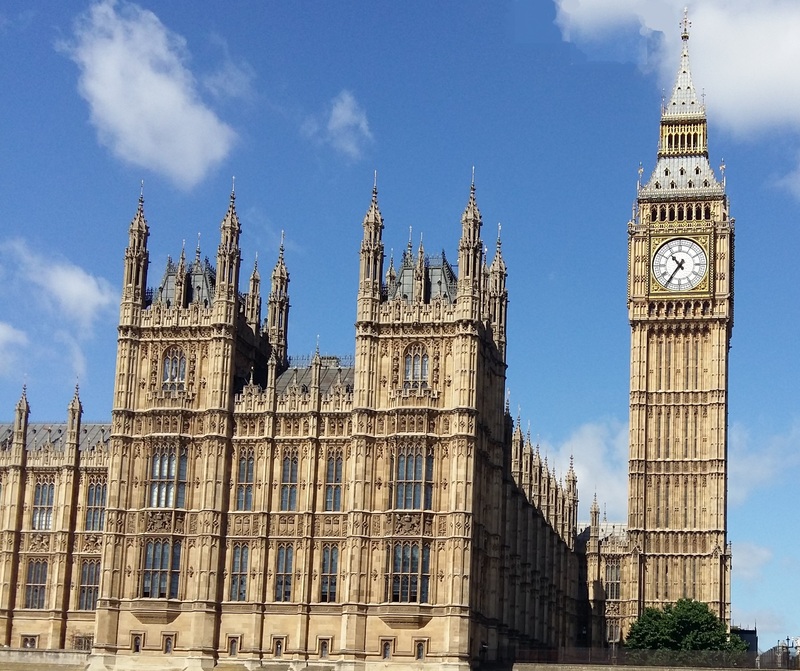 In November, the WBTi steering group was delighted to be invited to the first-ever meeting of the All Party Parliamentary Group for Infant Feeding and Inequalities. 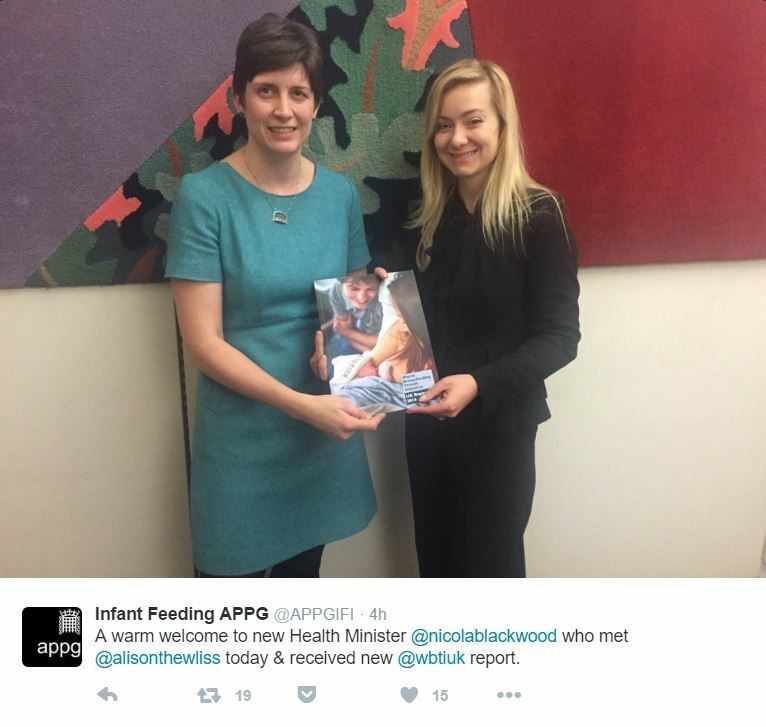 This was organised by Alison Thewliss MP, who is as committed as we are to bringing about real improvements to infant health through breastfeeding. All Party Parliamentary Groups are an excellent way to educate and inform interested MPs, who can then take questions to the floor of the House of Commons, help to push issues to the top of the political agenda, and hold government ministers to account. There are APPGs for every subject under the sun, but until now there has not been one dedicated to infant feeding, which affects every baby in this country! At the meeting in November, Helen Gray and Clare Meynell gave an excellent presentation on the WBTi project, explaining why politicians should care about breastfeeding and how current practices result in so many mothers stopping breastfeeding much earlier than they wanted to. But, by the time they had begun their first slide, Alison Thewliss was the only MP still in the room! Clearly, we need more MPs to come along and listen to these important messages and to push for change on behalf of the mothers and babies in their constituencies and around the country. So please spare 5 minutes to write to your MP to make sure they attend the next meeting (for MPs only), which is on Tuesday 19th January at 9.30am in Room W1 of Westminster Hall. 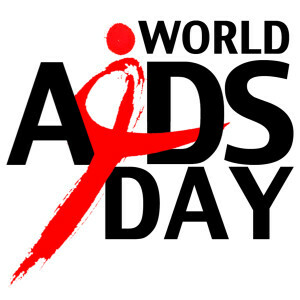 Can you spare those few moments to help make a difference? As MPs are more likely to respond to your own letter than to a standard letter, the best approach is to adapt the short letter below using your own words. If you can add information about your own experience and why you think the APPG is needed, that would have even more impact. It is essential to include your name and address (and postcode) as MPs can only respond to requests from their own constituency. Once you have identified who your local MP is, send them the following message. Remember to include your full name and postcode. Please feel free to send us any response you receive from your MP. As my local MP, I am writing to ask if you will represent me, and an interest close to my heart, in the House of Commons? 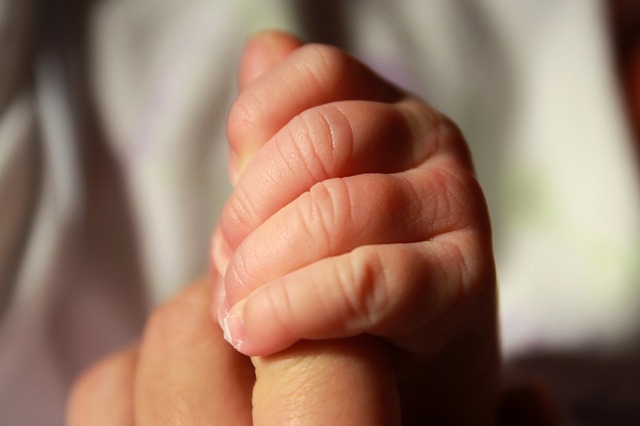 There have been efforts to establish an All Party Parliamentary Group on Infant Feeding & Inequalities in the UK Parliament. Although the group tried to form in November, I understand that there wasn’t enough cross-party representation, particularly from Conservative and Labour MPs. I was really disappointed to learn that this actually prohibited the group from getting off the ground. However, I gather that there is another short meeting for MPs to establish the APPG on Tuesday 19th January at 9.30am in W1 of Westminster Hall. Will you attend the meeting on my behalf and ensure this group gets off the ground? Will you add your name to join the group? There are so many important discussions and campaigns which should be considered around the area of infant feeding, and I would be delighted if you, as my MP, could attend and help raise this issue on my behalf.